The rise of wildfires across the Western portion of the U.S. has been predicted to continue, due to dry weather conditions. Many residents and officials in fire-prone areas fear the increased size and intensity of these blazes. The thought is that a below average winter snowfall and an increase in temperatures have created these dry conditions contributing to wildfire activity. Wildfires occur worldwide, but in the United States alone there are an estimated 60,000 – 80,000 wildfires per year, all of which have the potential to destroy homes in their paths. 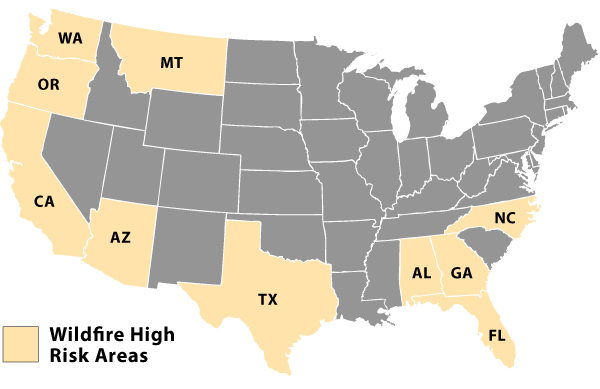 Wildfire Season High-Risk Areas In The U.S.
Summertime means that there will be plenty of opportunities for outdoor entertaining, which usually involves grilling, and near the Fourth of July, of course, fireworks. Often, wildfires are accidental, caused by something as benign as a campfire not being properly extinguished. In light of this, we have compiled the following safety tips for summer fire safety and wildfire prevention that will help keep you, your family, your house, and your surroundings safe and sound. According to a 2007 – 2011 study by the National Fire Protection Agency (NFPA), there are over 7,000 house fires each year related to grilling. 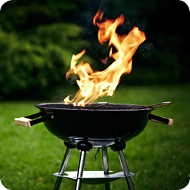 Only use charcoal and propane grills outside and away from structures. Keep children and pets away from grills. Keep your grill clean and prevent grease from building up on racks and trays. Never use charcoal fluid or other flammable liquids (these can leak or collect; use a charcoal chimney). Everyone can appreciate a good fireworks show, and kids especially love the bright displays. However, in 2011, over 17,800 fires were sparked by fireworks. With the highest risk of injury for those aged 5 to 19, it is important to know how to protect your party guests. 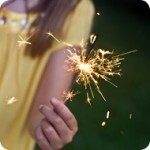 Always have adult supervision available — even sparklers can produce enough heat to melt some metals. Never point fireworks at another person or animal. Back up to a safe distance as soon as you light the firework. The best way to prevent firework accidents? Enjoy the safe view of a professionally presented firework display. You’ll save money, time, and stress, but most of all, you’ll protect your family and home. Summer is the time for camping and enjoying the great outdoors. 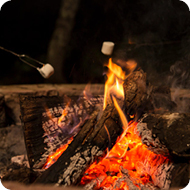 At this time of year especially, it is imperative to keep campfires and fire pits appropriately contained. 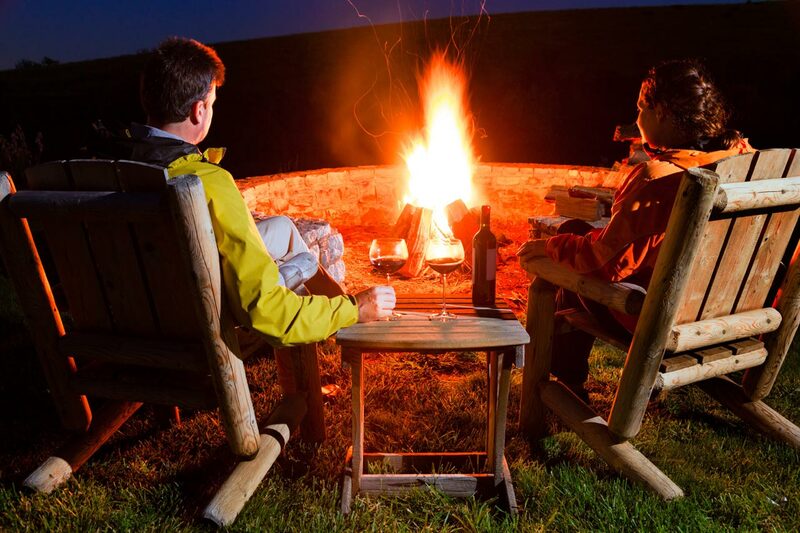 Here’s how to have a campfire, and keep it fun — not dangerous. Keep fire pits at least 10 feet away from all structures and flammable materials. Always have a source of water nearby, even before you start the fire. Keep the pit area clean of debris such as leaves, branches, and toys (both for children and pets). Never start a fire with gasoline. Monitor the fire site after it has been extinguished to prevent middle-of-the-night flare-ups. By following these precautions, you will be able to help keep your family, your home, and the environment safe this wildfire season. What happens when you have followed all of the precautions, but you are still victim to a fire, either man-made or wild? 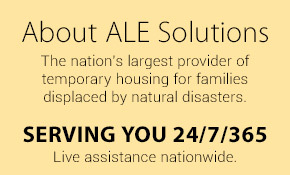 At ALE Solutions, we understand that sometimes people’s homes and lives are devastated by fire. No one wants to imagine the worst, but if you live in an area that is prone to wildfire activity, your fire emergency preparedness plan should include temporary housing solutions. ALE works with both the insurance adjuster and their policyholder to ensure all the needs of both parties get met in a timely and effective manner.